Photowords is the writing and photography business of author and wilderness photographer, Grant Da Costa. 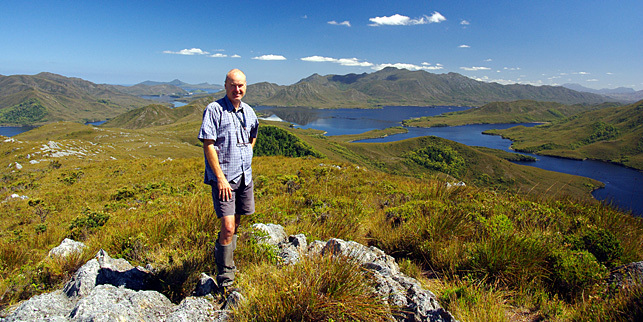 Left: Grant on the summit of Mt Beattie in South-West Tasmania, after sailing a 40’ catamaran to here from Hobart. In the background is the Bathurst Narrows. Grant has a remarkably varied background. As well as an almost lifelong passion for bushwalking, writing and photography, he has had an outstanding career in engineering and scientific research, with time out for a stint as the Director of the Victorian National Parks Association. From 1997 sailing also became an important part of his life. 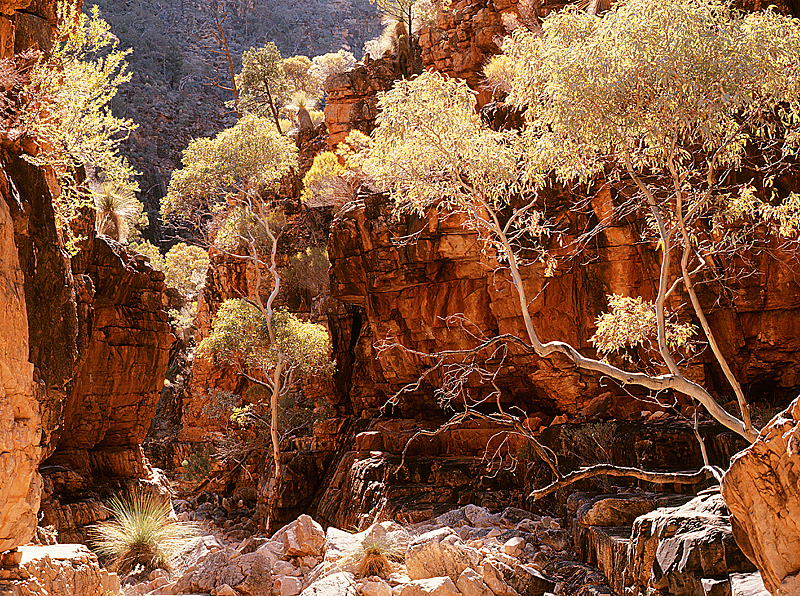 Ever since his first extended bushwalk at age 15, Grant Da Costa has been captivated by Australia’s wild places. This passion expanded after he acquired his first SLR camera at age 21. For the next 25 years Grant explored the country by foot and four-wheel-drive. His wilderness photographs have been published as posters, in calendars and diaries, and in several books. Along the way Grant also developed a passion for writing. Combining all his talents resulted in his first and most famous book to date, the ground-breaking best seller Car Touring & Bushwalking in East Gippsland. The Age newspaper has described Grant’s writing as “brilliant… the work of a highly organised mind”. No doubt this comes from his former career as a Research Engineer with the University of Melbourne (Bionic Ear—Cochlear Implant Project) and CSIRO Atmospheric Research (Global Warming & Climate Change Program). With the bitumen growing by the hour and day and the wild places shrinking, Grant looked to the ocean for adventure next. One of the outcomes is the true story of Captain Jack, told in his latest book. Grant now photographs and writes under the name Photowords. There is an old saying that a picture is worth a thousand words. But for Grant, the powerful combination of photos and words is the ultimate form of expression. For more information visit the PRODUCTS page. To purchase visit the ON-LINE SHOP.